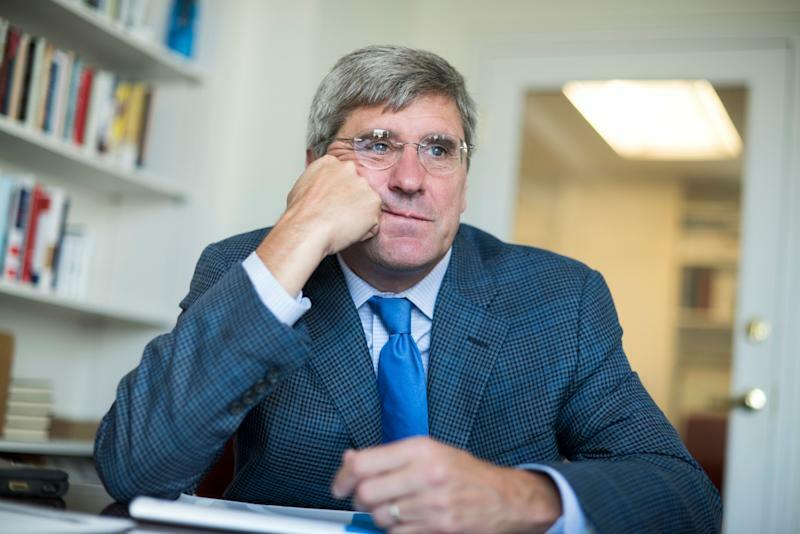 President Donald Trump plans on nominating Stephen Moore, his economic adviser during the 2016 presidential campaign, to serve on the Federal Reserve Board of Governors. Like Trump, Moore has been a strong critic of the Fed. He described the central bank’s decision to raise rates in 2018 as “tone-deaf” and advocated for replacing its Chairman Jerome Powell. Trump’s decision to name Moore to the Fed could be a play at teetering the Fed toward policy more complementary to the administration’s fiscal policy initiatives. Moore, who is a visiting fellow at the Heritage Foundation, has been a strong defender of the president and published “Trumponomics: Inside the America First Plan to Revive Our Economy” last year. On Friday, the president tweeted that he would be nominating Moore but analysts are already expressing concern over the ability of a Trump aide to get Senate confirmation. Greg Valliere, chief U.S. policy strategist at AGF Perspectives, told Yahoo Finance that Moore is “popular” inside the beltway but faces issues in the nomination process ahead. Hours before Trump announced that he would be nominating Moore, Fox Business aired a televised interview in which Trump bashed the Fed for supposedly blunting the stimulus of his administration’s tax cuts and deregulation. In 2018, Powell raised rates four times and continued to unwind the central bank’s asset holdings at a $50-billion-a-month pace. Trump argued that GDP growth would have been higher had the Fed kept rates steady and left the balance sheet as-is. Moore has been sympathetic to this view. Last week, Moore published an op-ed in the Wall Street Journal in which he said the Fed is the “last major obstacle” to U.S. economic growth in the 3% to 4% range. He described the Fed’s actions in 2018 as “deflationary” and blamed the central bank for market volatility at the end of the year. At the end of 2018, Moore published commentary with the Heritage Foundation that charged the Fed with “crackerjack logic” in raising rates to “combat nonexistent inflation.” Moore argued that the Fed’s fourth rate hike in its December meeting was a mistake and urged the Fed to hold an “emergency meeting” and cancel the rate hikes. In the post titled “Fire the Fed,” he also suggested that he would have liked to see Powell fired. For his part, Powell has repeatedly insisted that the Fed is independent in its monetary policy decisions. 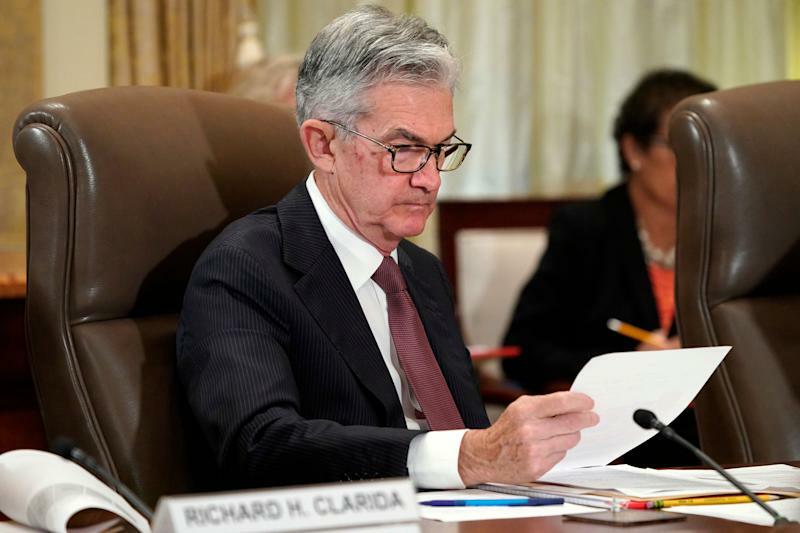 Responding to a Yahoo Finance question in the Wednesday policy-setting meeting, Powell said the Fed sees fiscal policies from Congress and the White House as “exogenous,” adding that the Fed will not “overreact” to those policies. The Trump administration has already placed three people onto the Fed board: Richard Clarida, Randal Quarles, and Miki Bowman. Powell, who was on the board prior to Trump’s election, was elevated to the chair in February 2018. Lael Brainard is the only sitting Fed governor not to have been nominated by Trump — Obama tapped her to join the board in 2014. But the administration doesn’t have a 100% success rate in pushing people onto the board. For the Fed’s remaining two vacancies, the administration nominated former Fed insider Nellie Liang and Carnegie Mellon University professor Marvin Goodfriend. But Liang withdrew her nomination and Goodfriend’s nomination was essentially abandoned. The Senate may not feel much pressure to fill the remaining vacancies, since the Fed is used to operating with five members. For the last two years of Obama’s presidency, for example, the Fed had only five members. The Senate already has a backlog of other legislative issues, such as the debt ceiling. Valliere said that with 53 seats in the Senate, Moore has a “narrow margin” to secure confirmation. “I’d say the odds very slightly favor Stephen getting confirmed,” adding later that he will be a “lightning rod” for criticism.